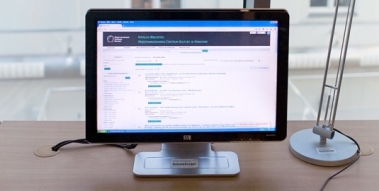 Since 1 September 2015, the online library catalogue of the International Cultural Centre Library has been supported by the Chamo system. The catalogue offers the following types of search options: simple search, advanced search, google search – a single search box, as well as faceted navigation, with the shared facets. MCK-Biblioteka-Magazyn 2 - realizacja zamówienia po godz. 15.00 [ICC-Library-Storeroom 2] – orders available after 3.00 p.m.
MCK-Biblioteka Magazyn 3 - realizacja zamówienia po godz. 15.00 [ICC-Library-Storeroom 3] – orders available after 3.00 p.m.
Orders on archival journals are available after 3.00 p.m.